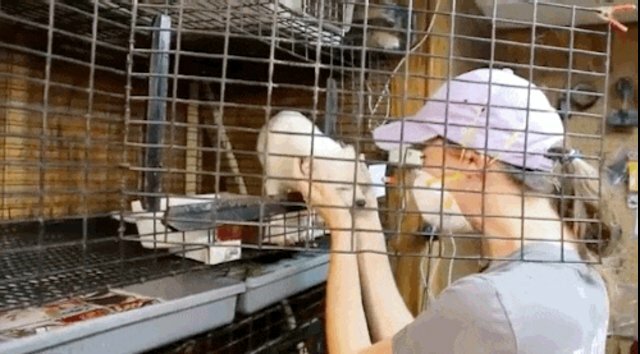 This is where thousands of pet dogs are born and bred every year. 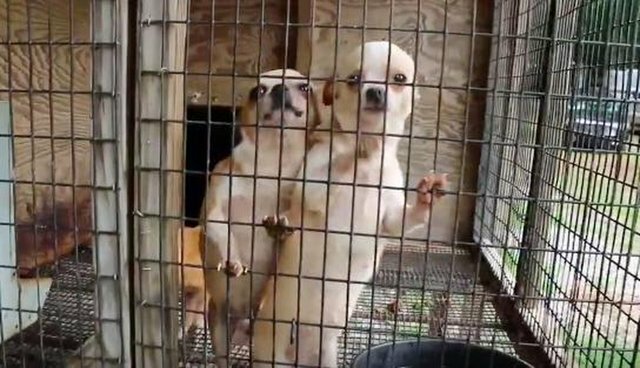 A recent video provides a behind-the-scenes look at a Georgia puppy mill, which was shut down in 2014 after it sold a puppy who died just days later. When rescuers, joined by dog trainer Victoria Stilwell, arrived on the scene, they found around 500 dogs in frightening conditions. The cages were small and filled with feces; according to one local CBS outlet, some dogs had lived their entire lives on wire floors and were sleeping in their food bowls just to get off the painful mesh. Unfortunately, situations like this are all too common. 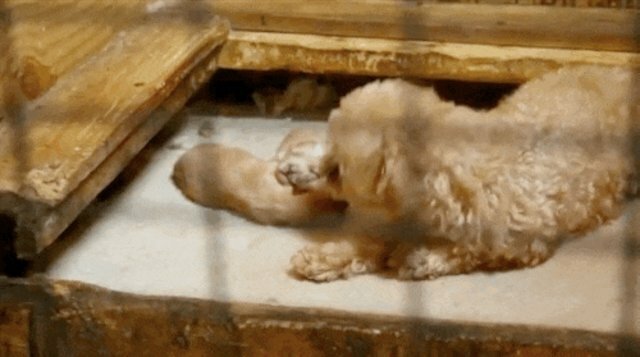 Many dogs sold in pet stores come from cruel operations like this one, though most people never see the truth of these breeding farms. This video changes that. 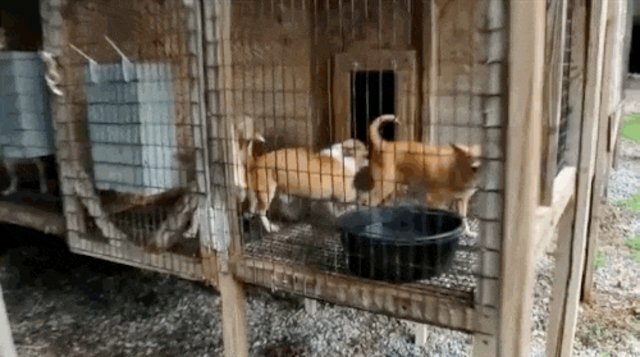 The puppy mill was located in a remote wooded area, in a series of open pens and rundown shacks. 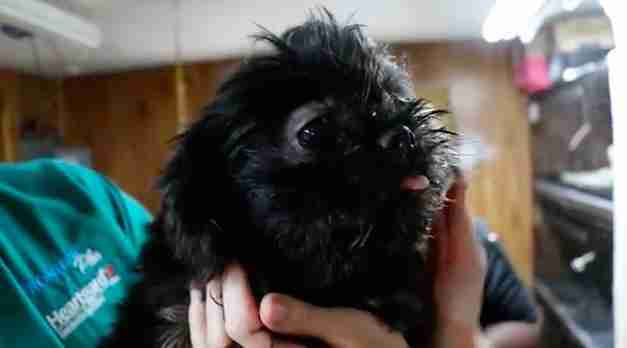 In the video, as soon as Sitwell and the team arrive, they're greeted by desperate barking. 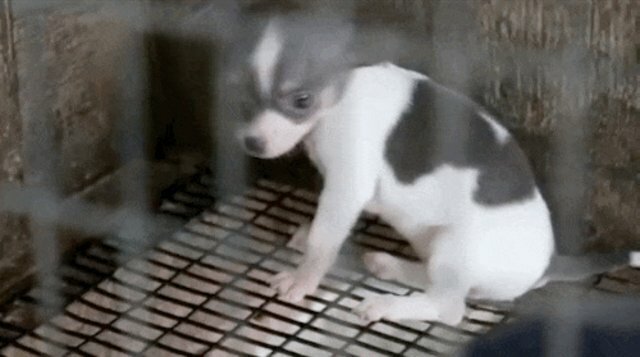 Close-ups show the dogs trapped in dirty wire cages, quivering in fear. Some of them are guarding their young puppies, who are seen lying without blankets or much shelter on the empty floor. Others are just puppies themselves. One young gray and white dog can be seen shaking as he backs himself into a corner of the only home he's known, seemingly overwhelmed by all the visitors. 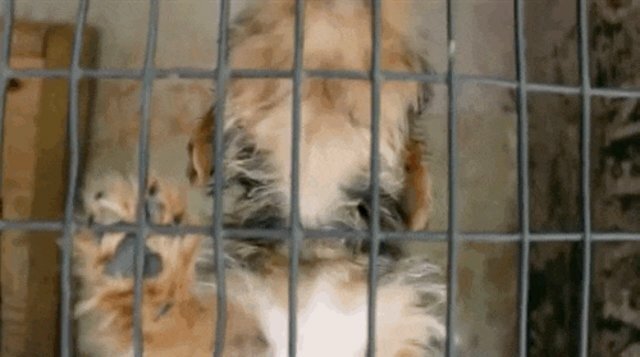 The adult dogs have likely spent their entire lives in these barren cages, never running free or feeling grass beneath their feet - and certainly without any loving human contact. For some of the rescued dogs, this will mean a lifetime of trauma they have to overcome. But still they just want love, and push themselves up against the wire in an effort to attract rescuers' attention. The cages are concrete or wood, without toys or beds or anything to make them home. Some appear to be littered with feces. Entire families are cramped into cages the size of dog crates. 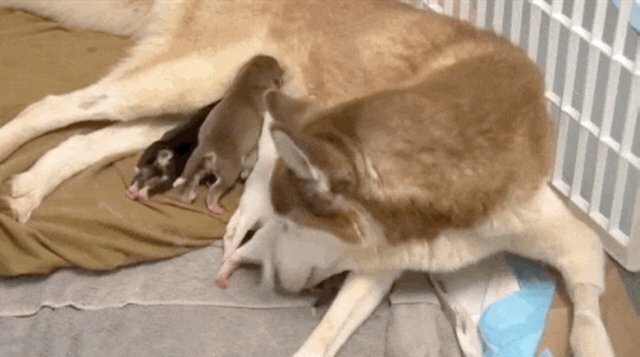 Female dogs are bred over and over, losing their babies each time, and being bred so frequently that their bodies give out long before their time. 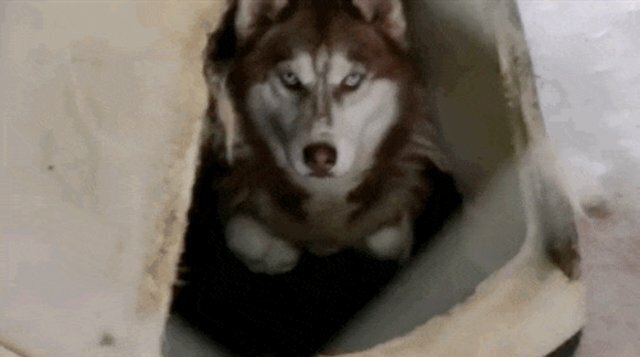 In one heartbreaking shot, a husky cowers inside a doghouse, completely overwhelmed by the new scents and sights. Her spirit's broken, and her eyes bear a sad mixture of defensiveness and fear. At one point Sitwell walks along a narrow passage lined on either side with open pens of dogs. Though this is just a fraction of the dogs, the numbers are still overwhelming. But for once, their suffering isn't a secret. The rescue team sets to work on the lengthy task of saving them, removing each pup from their cage and evaluating them for any medical issues. "Don't be afraid," one vet croons to a little black dog, holding her up as her frightened eyes stare around her in confusion. The team continues to pull the 500-plus dogs out of their little jails - emotional work for both the animals and the rescuers. And for many of the dogs, this is the first loving touch they've ever received. It won't be their last. Thanks to the work of the rescuers, all the dogs were removed by the Cherokee County Animal Shelter where they were cared for until they could be adopted. 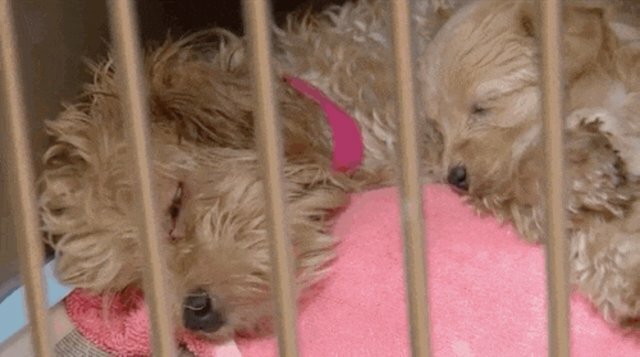 After six weeks of care at the shelter, they were on their way to regaining their life. A series of clips shows the dogs clean, well-fed and happy for the first time in their lives - though many of them likely have months of resocialization ahead. As puppy mill dogs are kept nearly continuously pregnant, there were also several new arrivals. 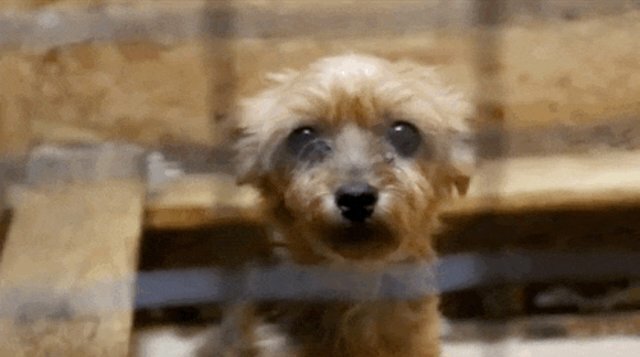 And when the day finally came when the puppy mill dogs were up for adoption, the response was nothing short of a miracle. 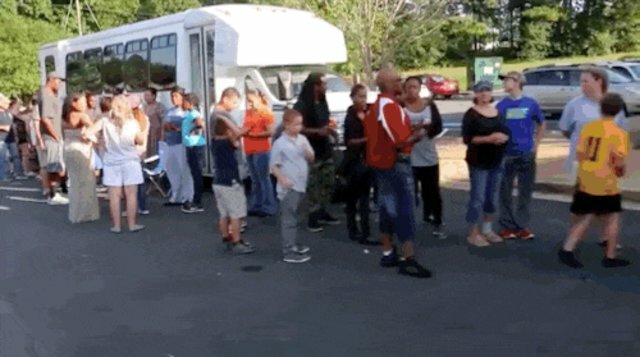 The shelter opened to a line of hundreds of people wrapped around the parking lot. "People have been lining up since last night," Sitwell says. "They've been camping out." One by one the eager adopters are led into the shelter - and the dogs, who spent their lives forgotten and neglected, are finally handed over to humans who love them. 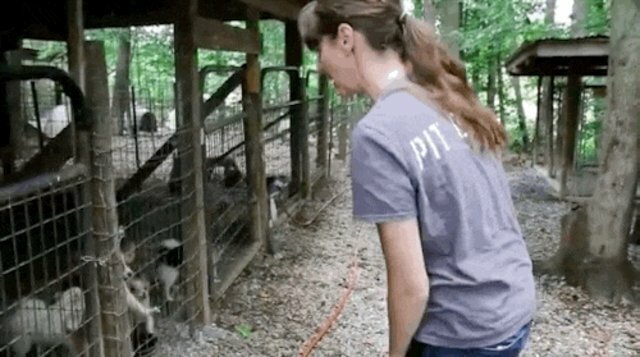 And in a touching finale, the final clips show a reunion, held one year later, with dozens of the rescued dogs coming together for a giant playdate. They couldn't be happier - or further away from the horrible conditions in which they were found. Unfortunately the dogs rescued in this raid were just the lucky few who got a happy ending - thousands more die every year, alone and forgotten, hidden away and bred in darkness so their puppies can be sold for a profit. And this sort of breeding facility isn't a rarity. Many - if not most - pet stores stock dogs from breeding farms like this one; responsible breeders avoid selling through pet stores as they want to meet the people adopting their puppies so they can ensure they're going to good homes. While pet stores will often try to cover their tracks by saying their breeders are "USDA licensed" or that their dogs are pedigreed, those claims have little implications for the welfare of the animals. This is what many of those "licensed" suppliers actually look like. Of course, there's a lot you can do to help stop this system - but the biggest action you can take is to look into adoption when adding a new pet to your home. You can visit Adopt-a-Pet.com to start your search.